Ecommerce gurus agree: the order receipt is a missed marketing opportunity in most of the stores. It's time to redefine your receipts and use it to convert your one-time purchases into returning customers. What's a Messenger Order Receipt? Recart's order receipts don't just inform your customers about their orders, but also incentivize them to make a purchase again by offering a discount code. What's the difference between email and Messenger order receipts? Both are sent with the same intention, but Messenger brings you much better open rates. With the higher attention on Messenger, you'll see better results. Will I send the campaign to all cart abandoners? 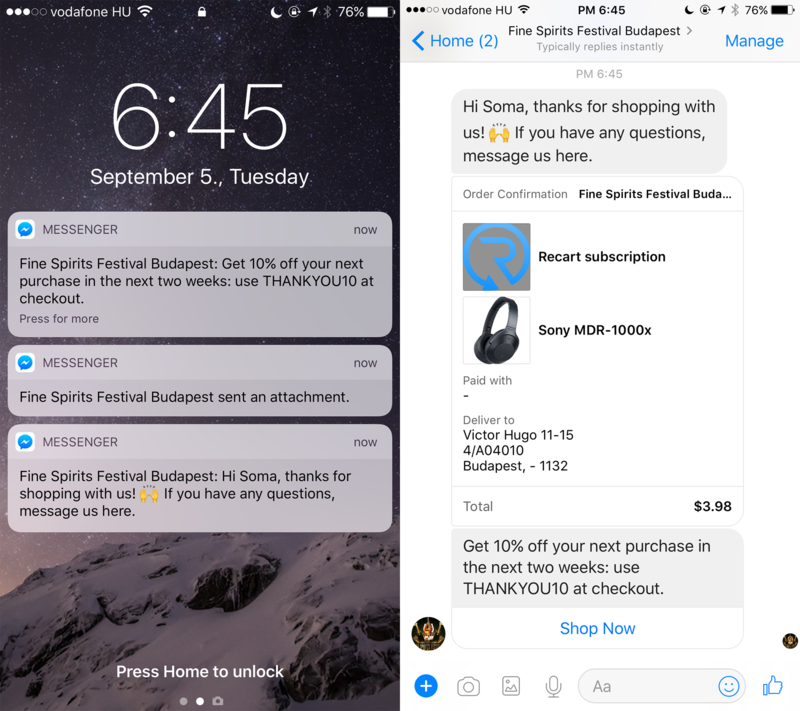 You'll send the Messenger Order Receipt to those who already subscribed to your Messenger list. It's a Messenger message, not an email. Never include a novel in your messages. Keep it plain and simple. Just like you message a friend. Offering discount takes a huge part in the success of the order receipt. 10% discount incentives your customers to come back and purchase again.